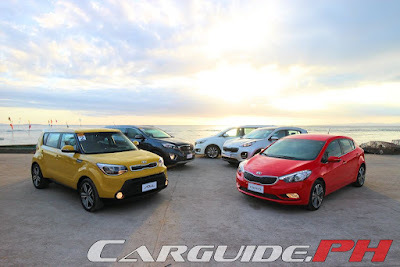 Kia is spreading Christmas cheer with their Regalong Panalo Pampasko promo. As a gift to its fans this holiday season, Kia is offering up major discounts across its line-up. Apart from the irresistible discounts, Kia is also offering a slew of freebies on top of the discounts. This includes: Preventive Maintenance Service (PMS) for up to 22,500 kilometers for gas variants and 15,000 kilometers for diesel variants. The package also includes 5-year, 24/7 roadside service assistance. This promotion is valid until December 31 so hurry to your nearest Kia dealer.